One of our greatest joys as a congregation of Jesus Christ is the communion of saints. Spending time with brothers and sisters in Christ through corporate worship, prayer, the study of God’s Word, meaningful fellowship, and sharing one another’s burdens are all important aspects of communing with Christ together as the body of Christ. 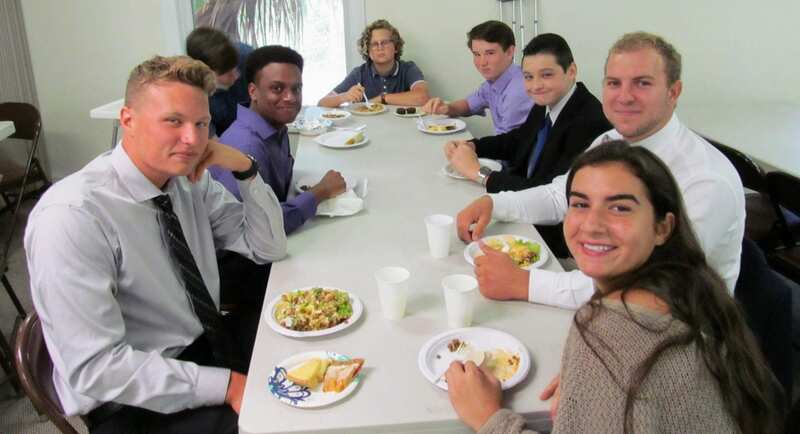 Dinner and Discipleship for all ages every Wednesday from 6:00 – 8:00 pm. Every Lord’s Day simultaneous Spanish translation is available for both the morning and evening worship services. Additionally, Grace Presbyterian Church hosts a Spanish Bible Study every Friday evening from 7:00 – 8:30 pm. For more information email info@gracestuart.com or contact us.